I woke up early on Friday morning and prepared myself to go to the V&A museum. I had a quick breakfast of toast and bland orange juice in the hostel kitchen and then hopped on the tube. I arrived, like a nerdy art student, at the museum early. A small group of us waited until they opened the doors at 10am. I have been waiting to go to this museum ever since I took the History of Craft and Design at NSCAD and it was well worth the wait. 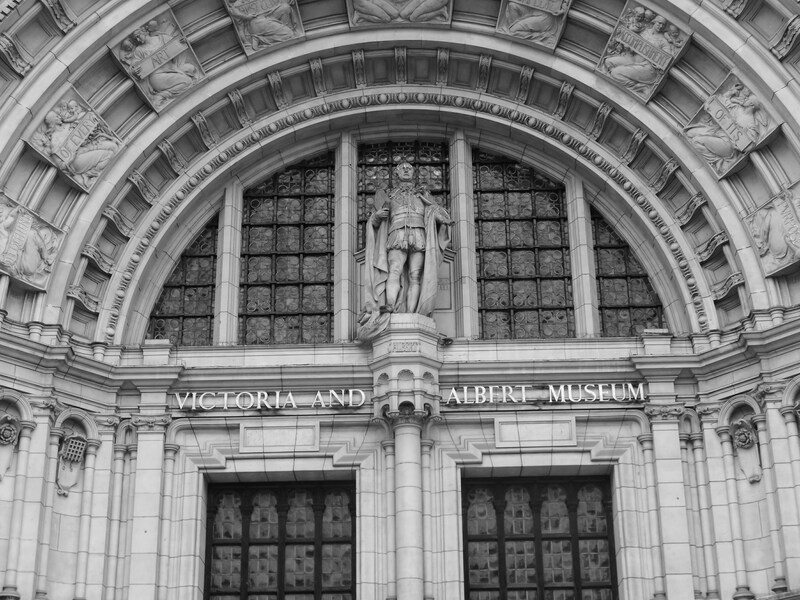 I had this dream that began at the V&A museum a couple nights after, and I imagined that the guards on the other side of those big metal museum doors were waiting for 10AM to open the doors for me to a song and dance about crafts through history… further proof of my dorkdum. I wandered through the museum for a couple of hours. I think my absolute favourite part about the entire place is that it looks unfinished, despite being finished. There is something about the big halls and rooms that give the impression that someone is going to add something. I think I like this because it holds onto the idea that history continues and will continue to be documented and put into museums, and no matter how crazy the decorative arts get, the V&A will have space to house the proof, good or bad. 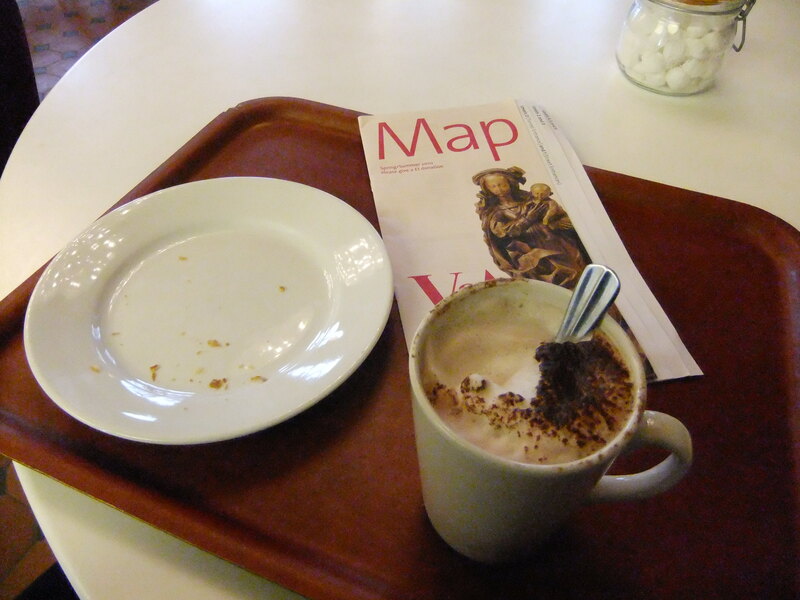 When I was done wandering through the museum I stopped in their enormous café area for breakfast. The café is a new part of the museum but the room with tables and chairs is a melting pot of lavishly decorated walls with modern balloon like light fixtures. I sat with my hot chocolate in one hand and a book in the other, reading and looking up ever so often to take in the magnificence of the space. After my visit at the museum I wandered up the street, heading for nowhere in particular. 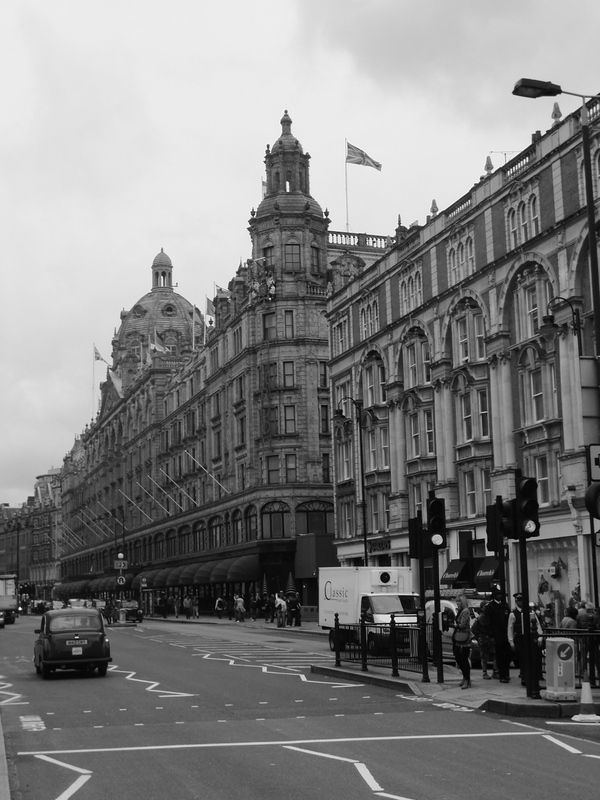 To my surprise I ended up smack dab in front of Harrods, the giant ancient department store that sells anything and everything. I had not actually made plans to go to Harrods but figured since I was outside, that it was clearly meant to be. At the front door stood a doorman/security guard/potential member of the high-class fashion police, and my plaid shirt and little loafers weren’t cutting it: I felt underdressed. Nevertheless he let me pass and I sauntered into the foyer, and through a large shiny room of outrageously priced leather handbags being cared for by the eternally smiley well dressed staff. I tiptoed through the bags, men’s whose its and what’s its, and perfume departments only stopping to snag a bright piece of pink ribbon spritzed with lovely smelling perfume to use as a bookmark later. I ended up in the food hall next to a teacart that had such beautiful tins, all black and gold and arranged in the shape of a pyramid. In the next room was a gelato and sweets shop where kids were all asking their parents for this and that, and every parents was replying, ‘only one honey, pick just one.’ I thought to myself, how cruel! Just one, how could they possible choose just one?! I left without buying anything, apart from a can of tea, which I will only look at. I wandered up and down the stairs of Harrods admiring the strange architecture that in some places reminded me of an Egyptian exhibit at the ROM back in Toronto, until I found an exit back onto the street. I thought over and over about how crazy it was that a store like this had this almost magical quality to it. It made me feel like a child on Christmas day, and when leaving I half expected to see a fresh dust of snow on the pavement outside. All my morals about our world being overly materialistic disappeared like a balloon in the wind and it felt nice. When I came back to Earth, I found the nearest tube station and hopped on, this time with a plan. I went back to Piccadilly Circus to search out a cheap ticket to a Broadway show. 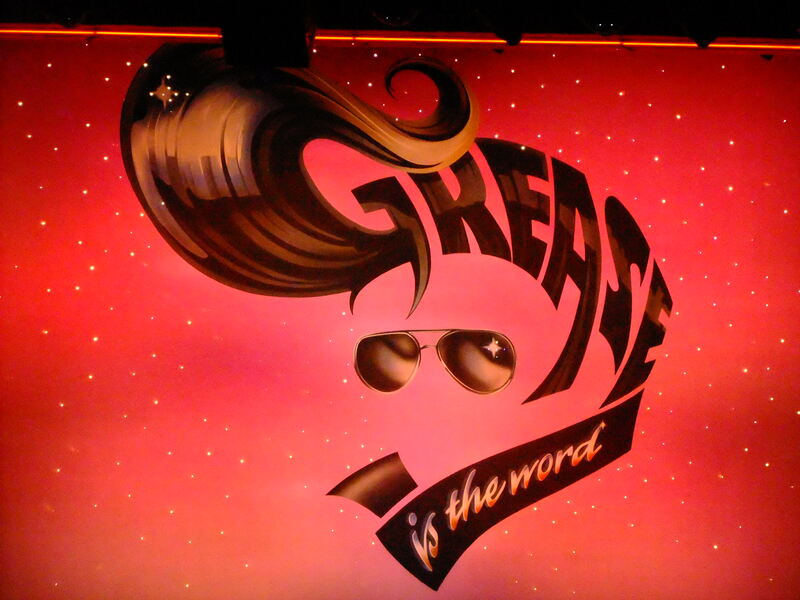 Despite my efforts to see Sister Act with Whoopie Goldberg, the only tickets available that weren’t out of my price range, were for Grease, and I was super excited, after all Grease IS the word. The show wasn’t until 5:30 so with the little pocket of time that I had, I hopped back on the tube and went to see Abbey Road, the famous Beatles crossing and recording studio. I have already told you a bit about this and further down on the blog you can see the shots of me actually walking on the crossing. After Abbey Road, I rushed back up to the theatre and found my seat in the highest farthest back row that I think has ever existed in a theatre. From there I sat wide-eyed and sang along quietly, despite my childish excitement, through the entire show. I thought back to all those wonderful evenings that Sarah and I rehearsed and performed Grease songs for our mothers on the front porch of my house. I always had to be Danny because I had short hair and a pleather jacket that I had begged my mum for from Winners when I started public school. The day wound down quickly and after doing so much, I headed back to the hostel to relax and prepare for the next day, where a free tour and new friends were on the horizon. Ah yes, pleather and all it promised.